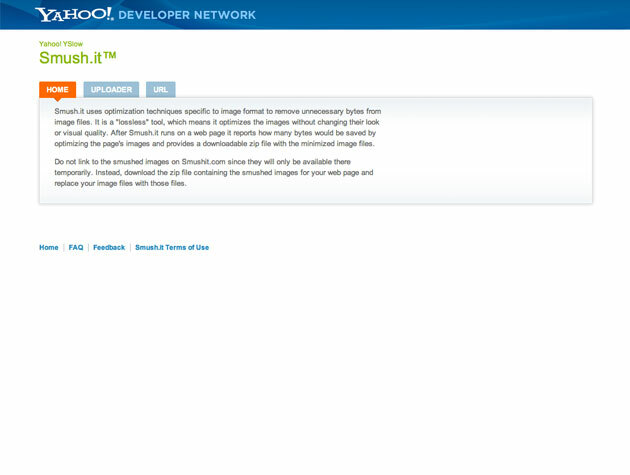 Smush.it uses optimization techniques specific to image format to remove unnecessary bytes from image files. 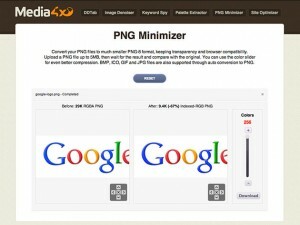 It is a „lossless“ tool, which means it optimizes the images without changing their look or visual quality. 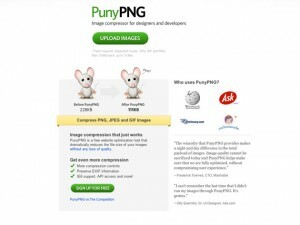 After Smush.it runs on a web page it reports how many bytes would be saved by optimizing the page’s images and provides a downloadable zip file with the minimized image files. Do not link to the smushed images on Smushit.com since they will only be available there temporarily. Instead, download the zip file containing the smushed images for your web page and replace your image files with those files.